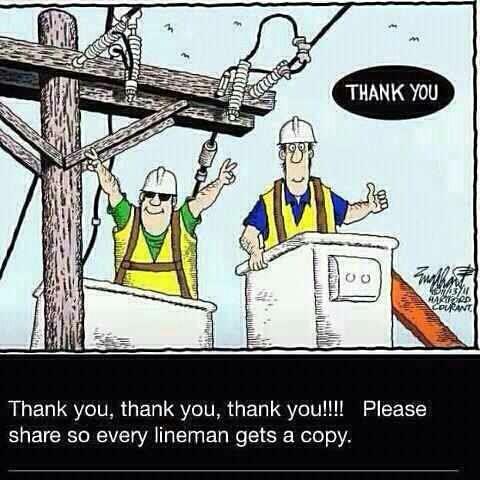 Today – thank a lineman! Re-Posted from Facebook, because it’s nice to appreciate those who go out in the storm to make us warm and happy again! From KARK 4 News Thousands of linemen are out there working hard in the cold and rain to restore power. Thank them by sharing this!